On July 19, 2016, the Oakland City Council approved the ban on coal initially approved three weeks before. The vote on the council’s Consent Calendar, on which the coal measures were included, was unanimous: 8-0, with all council members in attendance. 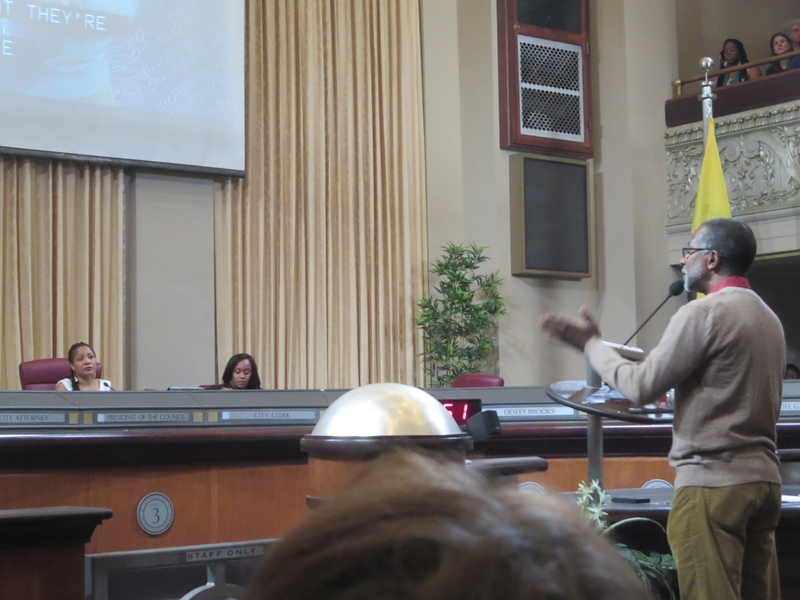 Prior to the vote, No Coal in Oakland member Aaron Reaven thanked the council for approving the coal ban at its special meeting on June 27, 2016, and asked that changes to its process for hearing community input be considered, to prevent “political thuggery” in which paid political operatives are permitted to shout down engaged and concerned citizens, as occurred during the special meeting. Speakers representing No Coal in Oakland, the Sierra Club, and other organizations thanked the council for safeguarding the health and safety of Oakland’s citizens and workers, and the ecological health of the planet; and for its expected, final approval of the coal ban that evening. NCIO members and allies also spoke in support of other measures on the council’s lengthy agenda, including protection for Oakland’s renters, and a ballot measure to strengthen independent citizen oversight of the city’s police department. Please join us for a rousing victory celebration of Oakland’s ban on shipping or handling coal! We’ll celebrate on Saturday July 30, 2016, 4pm – 7pm, at the West Oakland Farm Park – City Slicker Farms, at 2847 Peralta Street in Oakland (more info).